If you plan to attend please be sure to register for this event. On April 1, Connecticut Department of Economic Development Commissioner Catherine Smith will detail some of the Department’s newest programs aimed at growing your business. 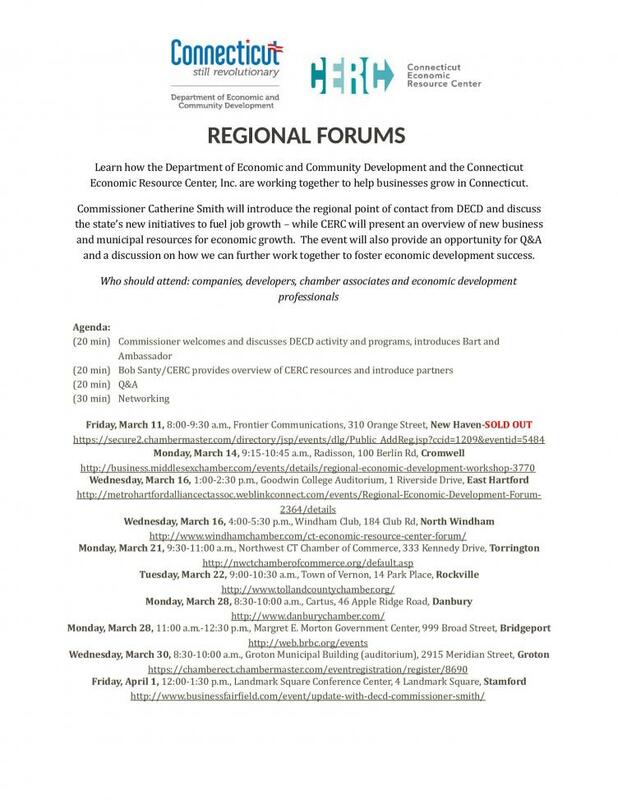 She will introduce DECD’s regional point of contact for Fairfield County, a resource you should get to know as you face questions and issues related to doing business in the state.